South Nanaimo, Nanaimo - This 2 bedroom patio home is all one level, no steps. Ideal for adult living. Freshly painted in neutral colours. Living room has vaulted ceilings with a large bay window & plenty of natural light. The adjoining dining room area is spacious which is great for extra company. Kitchen is functional with newer fridge & stove. Off the back bedrooms is a sliding door that leads to a nice size patio. Back patio is very private & feels more like a private backyard. No neighbours looking at you. There is a separate laundry room with plenty of cupboard space. Also, part of this package is a single carport and storage room for storing seasonal furniture etc. Wheelchair friendly. Visitor parking is close to your unit. Bowen Seniors complex is within 2 blocks! Complex is managed by a well known and respected local company and you can see the care and attention that has been extended in the past. All appliances stay. Please note there is a 55+ age restriction and pets are welcome with some restrictions. Rentals allowed with some restrictions. Wheelchair friendly. Visitor parking is close to your unit. Measurements are approx. If important please verify. A great place to call home. North Nanaimo, Nanaimo - We invite everyone to visit our open house at 4007 GULFVIEW DRIVE on September 8 from 11:00 AM to 3:00 PM. 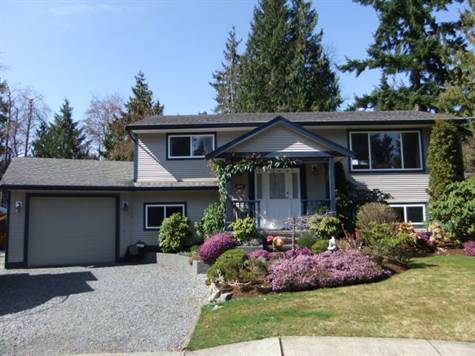 University District, Nanaimo - Homes like this do not come on the market often. 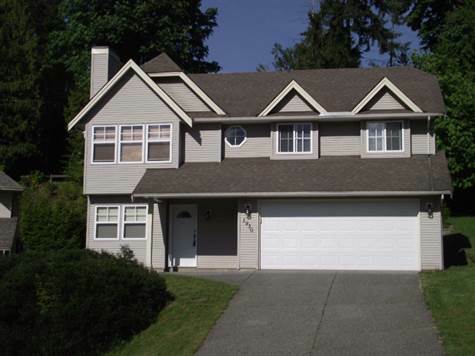 Here is your opportunity to purchase a solid 4 bedrm family home in the university district of Nanaimo. Original hardwood flooring on main floor with large picture windows in the LV with adjoining dining rm that have sliding doors that access to the back deck with mature grapevines. Kitchen is large with kitchen nook area. 3 bedrms on the main floor. Downstairs there is another bedroom with large family rm, cold storage/wine room, large laundry room & single garage that has been used for a workshop. All appliances stay, as is condition. Carport parking & driveway parking. Plus, room for your RV. Heat by natural gas forced air furnace and heat pump. Fenced garden area and 3 separate buildings in the backyard. Landscaped and ready for you to move in. Nanaimo, Vancouver Island - No HST. This beautiful Montebello condo features 2 bdrms, plus an open den. This is a corner, top floor, south facing unit with views of Mt Benson. There is plenty of nature light unit & includes a large wrap around deck that is accessible from the living room and off the kitchen. Includes a spacious living room with built-in entertainment area above electric fireplace & a formal dining rm. Gourmet style kitchen has upgraded stainless fridge & microwave/fan. A nook area is off the kitchen. Master bedroom has 4 pc ensuite & walk-in closet. 2nd bedrm is at opposite side of the condo giving your guests extra privacy. Laminate & ceramic flooring, stainless appliances, in suite laundry rm with stack washer & dryer, plenty of closet space, 2 secured, underground parking spots & separate storage locker comes with this unit. There is also a bike storage room that all units share. Common room is on main floor with kitchen for your use. Building is secured and is centrally located close to shopping and all amenities. Easy access to downtown and parkway. All measurements are approx. & to be verified if important. New home warranty. 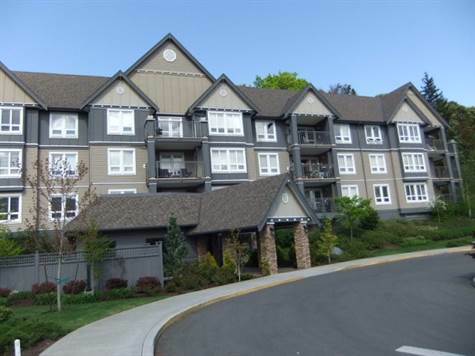 Nanaimo, Vancouver Island - Announcing a price reduction on 402-402 - 1620 Townsite Rd. Nanaimo, a 1,180 sq. ft., 2 bath, 2 bdrm multiplex "top floor corner unit". Now MLS® $252,900 - No HST on beautiful condo. 6761 Philip Rd new price ar $404,950. "Here is you chance to move to Lantzville"
If you are looking for a home that has had everything done to it then look no further. All you have to do is move in and enjoy. This stylish rancher has had extensive upgrades inside and out. Making it shows like new. Even the landscaping has been tastefully done with a great water feature, patios & outbuildings. 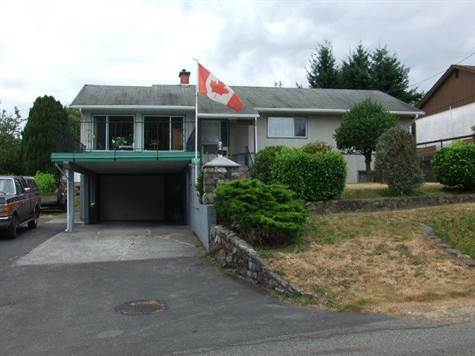 This 3 bedrm, 2 bthrm home sits on .30 of an acre & has ocean/mountain views. Reno’s includes new roof, new windows, gutters, soffits. The kitchen is new and has a large nook area with access to the large renovated sunroom. new stainless appliances, black granite sink. Bathrooms are new with granite counter tops, new crown mouldings, interior doors, new light fixtures & new electric heaters. There are is a gas fire place in living rm & kitchen to help give you the ambiance you can enjoy all year long. The back garden is private with an ocean view and would be perfect for entertaining or just sitting and enjoying. Lantzville has great beaches, plenty of hiking trails and only minutes from all north end Nanaimo amenities including schools. Formula for getting your home SOLD! In today’s economy, selling a home can be tough. And it’s what the buyer is willing to pay for a home, that gets the home sold…and that number is getting lower and lower, which has some homes taking awhile to sell, if they sell. And we all know, the longer it takes to sell a home, the more money a Seller loses. Should a seller choose to sell in this type of market, then One Percent Realty can help! Because of our lower fees, the seller can attractively price their home and receive that offer that the other homes are competing with you for. This one factor, asking price, has the biggest impact on attracting Buyers. At One Percent Realty, our low, affordable fees make this type of pricing possible. Let’s get your home SOLD! And let’s get your home sold FAST! Why use One Percent Realty? List & Save: Thinking of Selling or Buying? Call me for all your real estate needs. I bring to you a high level of commitment, integrity and expertise, and will diligently work with you in meeting all your real estate goals. I am very familiar with the neighborhoods and school districts throughout Nanaimo and the surrounding areas, having lived and worked in mid-Vancouver Island for 20 years and raising my family. Coming from Vancouver was a welcome change of lifestyle and I am amazed at all the changes over the years. 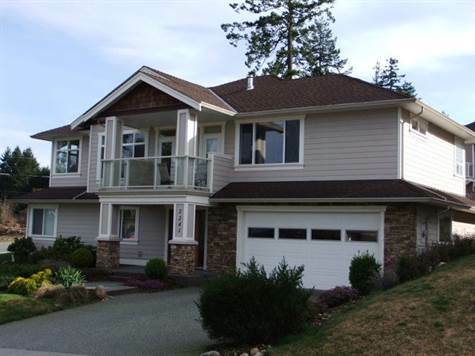 Nanaimo, Vancouver Island - No HST on this elegant, executive style home which is within walking distance to Westwood Lake. This 2821 sq. ft. home has view of the mountains & ocean. The front foyer is large with an attractive wrought iron staircase. There are 4 bedrms, 3 bathrms, with an open plan concept with high ceilings, large windows, hardwood flooring & oversized rooms. The living room has an attractive gas fireplace and adjoining formal dining room that would be great for large gatherings. The kitchen has custom maple cabinetry, tile counters & backsplash, center island with prep sink, large pantry, stainless appliances & gas range. Eating nook area is off the kitchen. There is a covered deck in front with access from living rm & master bedrm. The back deck can be accessed off the kitchen. Great for BBQ’s. The master bedroom includes a 5 pc ensuite with a jet soaker tub. An extra bonus is the very large, impressive walk-in closet. Laundry rm is on main floor with an ironing cupboard. The lower level includes 2 more bedrooms, a den or 5th bedroom, family/media room which is wired for surround sound & has access to the downstairs covered patio. Just wait until you see the oversized garage. Great for 3 cars or a workshop. There is a separate large furnace room with laundry sink off the garage too. Come live in this desirable neighbourhood of newer homes. Nanaimo, Vancouver Island - Nature at your door steps. This 9 year old home is situated at the end of a cul-de-sac in beautiful Cinnibar Valley. Features main level entry with a spacious tiled entrance. Upstairs there is laminate flooring. Living room is large with an inviting gas fireplace. Adjoining there is a dining room with a slider door to the back deck, great for barbecues. The deck overlooks the terraced back yard which has been landscaped with retaining walls & cedar hedging. The kitchen boasts beautiful cabinetry & a bay window over the sink. The main floor has 3 bedrooms including the master bedroom with 4 pc. ensuite. Downstairs there is a bedroom, den or 5th bedroom, laundry room, family room and a double garage. There are retractable screens on front door & back slider off kitchen. Downstairs 3rd bathroom is ready to be finished. Nanaimo, Vancouver Island - Here is a rare opportunity to own this private 0.37 acre property in a tranquil setting in North Nanaimo. This 4 bedroom home offers the utmost in customization for both indoor & outdoor entertainment with sumptuous gardens that include a spectacular collection of perennials & shrubs. A detached shop for the handy man, separate tool shed, insulated & wired studio, green house, water feature with bridge & pond, a lower patio and back deck for great entertaining. This home has been totally remodeled inside & out featuring newer siding, roof, windows, carpet, bathrooms, kitchen, additional insulation, & wiring plus, a large attached garage. The list goes on. The kitchen is open plan giving the upstairs a great spacious feel. Living room has a fantastic L-cove for your art or entertainment center. Lower level has been completely finished with 2 more bedrooms, laundry room, family room, storage rm. & washrm. This property offers the ultimate in privacy giving you the feel that you may never leave home. Plenty of power for your tools, 8 zones sprinkler system. Close to schools, shopping and transit which makes this a great location. Lots of room for your toys.